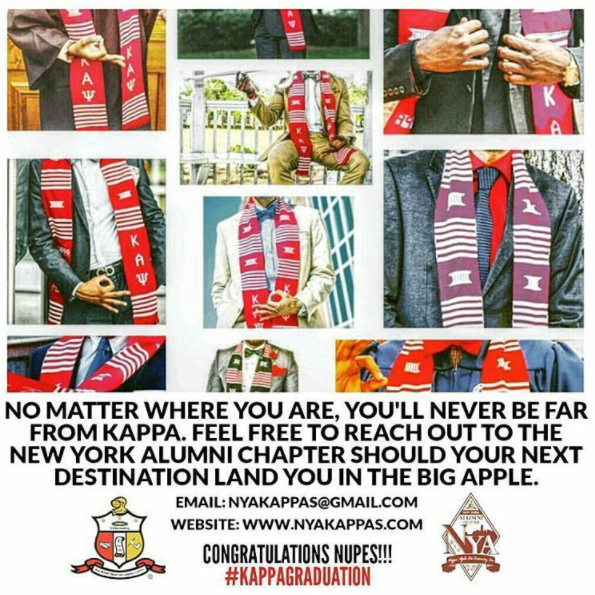 The Social Communications Chair in the New York Alumni (NYA) Chapter was created as an alternative approach used to proactively pursue and reclaim members of Kappa Alpha Psi Fraternity, Inc using social media. Through an aggressive letter and email campaign, we informed members at large about the positive things we were doing in New York City. However we discovered that after members graduated from college, a lot of the data on them we gathered via the IHQ membership search was either inaccurate, outdated, or incomplete. 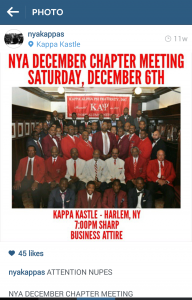 We also encouraged our membership to reach out to at-large Kappas in New York and invite them out to our monthly meetings and events. 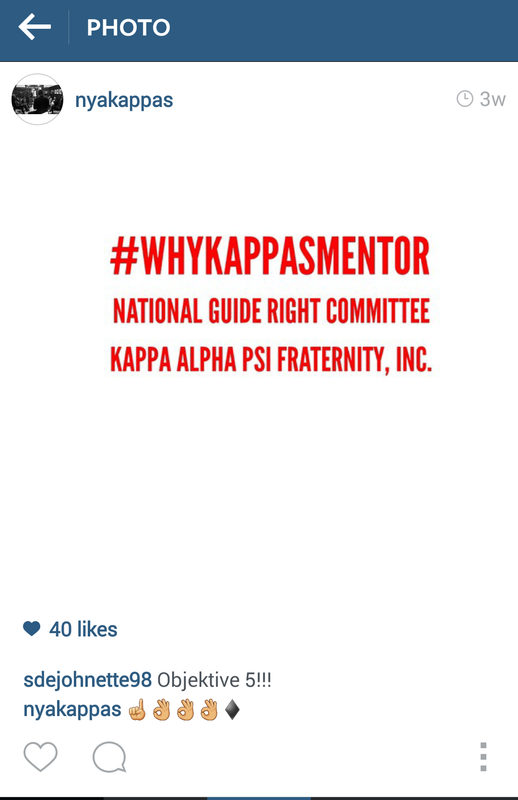 When a Brother attended a meeting or event, we made sure that we collected as much information on them as possible. We also asked them to write down members from their chapter (or other chapters) that were living in New York that were also inactive with an alumni chapter. But no matter what we did, the word didn’t seem to be spreading fast enough. So we began seeking out alternative methods of reaching out and soon stumbled on the path of social media through Facebook. We noticed that although a lot of the younger inactive members were asking for our Facebook profiles. They were looking for ways to stay in touch despite many of them not having permanent places of residence in New York. Through Facebook, they also quickly became familiar with members of NYA. We also noticed that recent graduate members and the younger demographic were more likely to come out to an event that was posted on Facebook than an event that was sent to them through email. We started looking at social media not only as a social platform but also a social tool we could use to reach out to members we knew as well as the ones we didn’t know. But simply being present on social media wasn’t going to solve all of our problems. Our next big hurdle was how to tell the story of the New York Alumni chapter. Through the formation of the NYA Social Communications Committee, we began to strategically post about the things taking place at the New York Alumni Chapter. 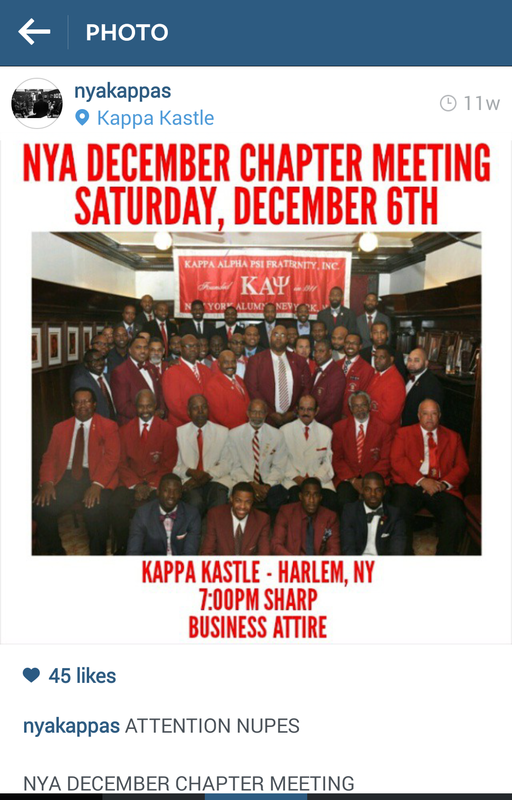 Social media allowed us to engage and bond with our audience and members of Kappa Alpha Psi in New York as well as nationally. 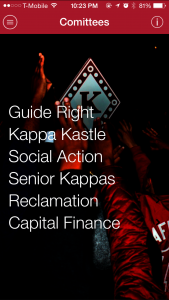 Using carefully crafted campaigns, we were able to showcase initiative and events for our various NYA committees (Reclamation, Social Action, Guide Right, and others) and chronicle past successes in a way that breathed a renewal of the Spirit of Kappa into recent graduates and inactive members. In collaboration with our NYA Website Chairman, both committees embarked on efforts to optimize and increase New York Alumni’s presence on the internet. 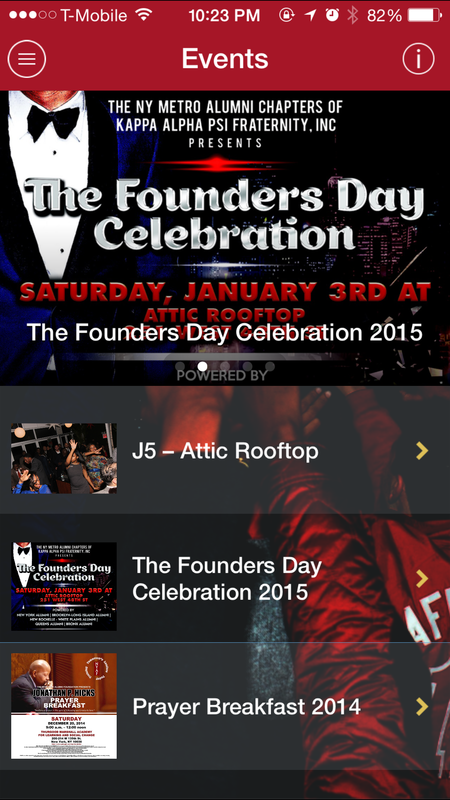 The development of the New York Alumni Android and iPhone App along with the redesign of our website was another step in the right direction. The combination of this approach plus our traditional outreach methods for members not using social media has helped us become highly visible to other BGLO as well as community-based organizations and companies. 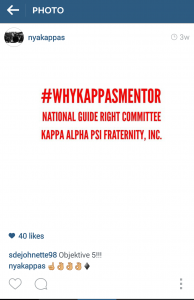 Now we are working on ways to leverage our social media following with outside organizations in hopes of gaining even more support for our programs and ultimately Kappa Alpha Psi. It is our hope that what we are doing at the New York Alumni Chapter will inspire other chapters to utilize social media in this capacity as well. 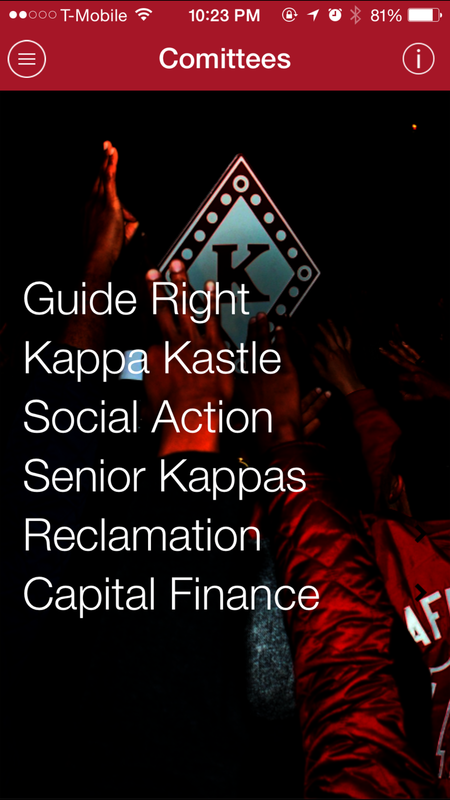 By providing the outside world with a glimpse of the multitude of local and national community service projects that Kappa participates in each year, we are able to fight against any negative sentiments propagated by anyone who seek to destroy our rich fraternity history. It is in the telling of our own story that we can truly continue to be the powerful force our illustrious founder Elder Watson Diggs envisioned for years to come. A Worldwide Brotherhood Connected Through Technology??? 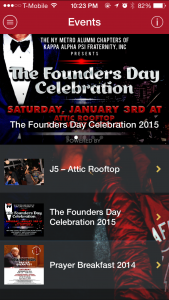 Yes My Brother – New York Alumni Has An APP For That!!! For the past two years, our Website and Social Media committees have revolutionized how The New York Alumni Chapter approaches communication with their membership and the community in which they serve. Always in search of ways that they can enhance the chapter’s brand through better communication, they have proven to be quite effective. Over the past two years, our website, Instagram, tritter and other social media outlets, have helped us to not only reclaim a younger demographic of membership, but has also helped to increase the number of attendees that we have that come out to community service and social events. In keeping up with the world of technology, the next evolution of NYA’s Online and Digital Media Presence is the NYA APP. It’s like having the chapter in your back [pocket. It keeps you abreast of events and all of our social media outlets. It’s a digital community that you can take with you everywhere that you go. We invite you to download the free app that is available for both iPhone and Android operating systems.